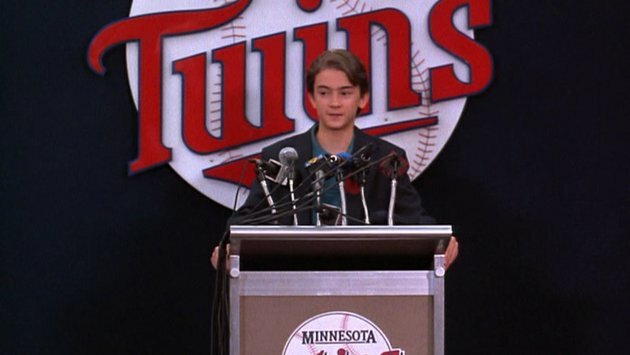 In April I participated in a blogathon that was leading up to opening day of the Major League Baseball season. I had designs of a far more grandiose post featuring multiple line-ups. However, the time the first team took precluded me from doing so. However, when I gave up on that notion I decided that there was a perfect time for a post about a second all-star team and today is the day. I typically have had a Little League related post on the eve (or day) of the World Series commencing, as I usually head out there. Since today is the parade in Williamsport and tomorrow the games begin I thought the timing was perfect. Firstly, I tried to avoid having players from the same team/films selected. 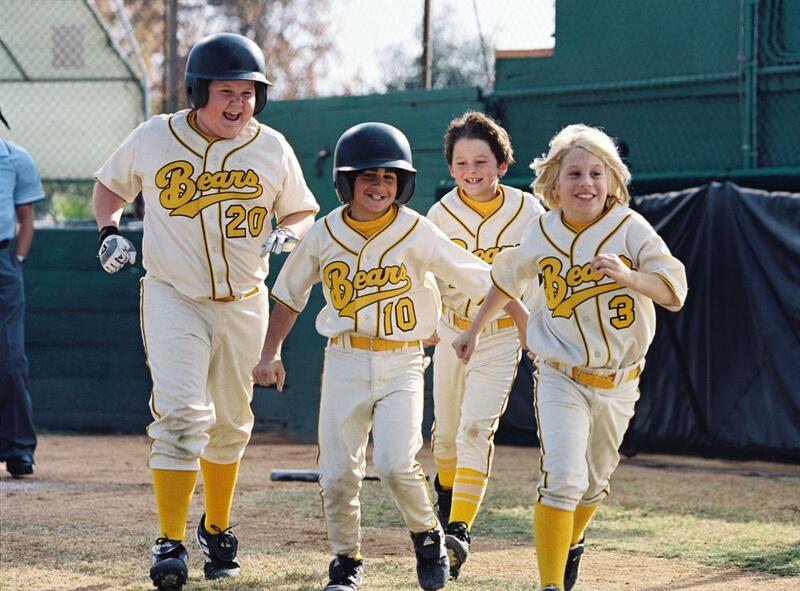 However, there aren’t too many Little League oriented films and in paying lip service to reality most leagues don’t have a tremendous number of teams from which to cull their all-stars. Second, while I tried to adhere to Little League codes of conduct in selecting players but they’re not all choir boys. Regardless, on of Little League’s goals is to shape the young individual not reinforced ready-made upstanding teammates/athletes. I was tempted to go outside the parameters of baseball tales, but only did so when appropriate. Third, as anyone who watches Little League regularly will tell you players have to be willing and able to play a number of positions. Furthermore, in film, to aid the audience they usually only play one position. In reality there is movement and many pitchers are needed, not just one. 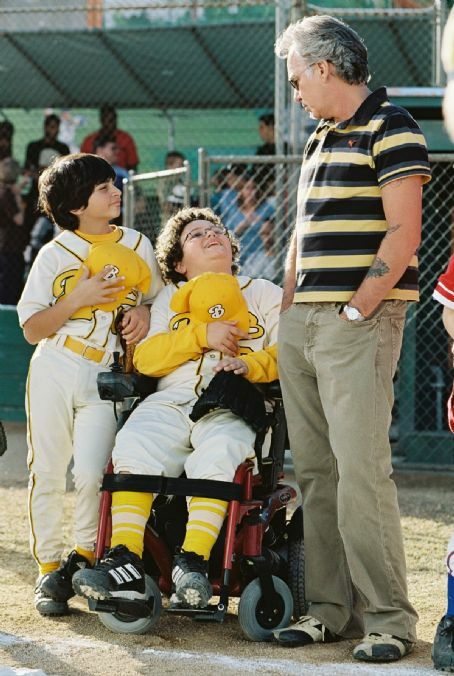 I tried to accommodate both the realities of Little League and the films. 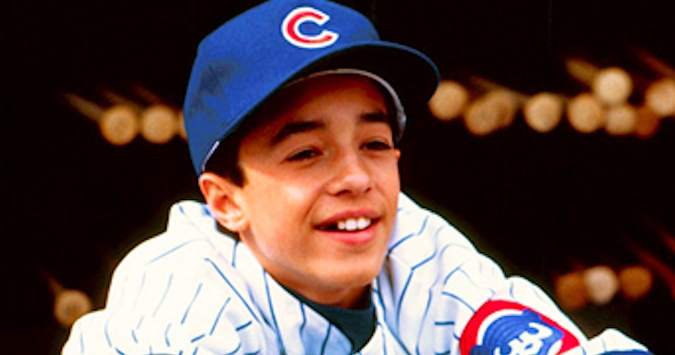 Last, as with many films about adult baseball players, there is usually a bit of underdog nature and growth in the player. I picked players either for consistency or for the maximum of their ability. 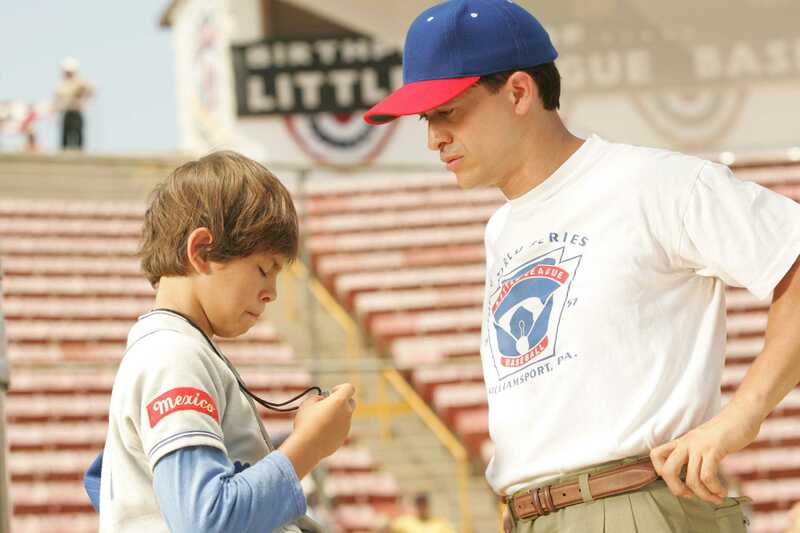 Little League was built from the ground up with the help of sponsors. 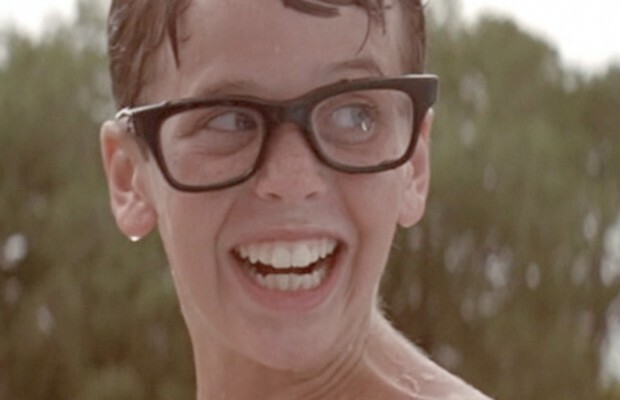 To this day companies sponsor local teams, leagues and the Little League in general. So why shouldn’t this team have one? And who would be more apt to sponsor a team than Richie Rich? Movies allow for this unique situation to occur. Clearly, a manager will be an adult in reality but I had some kids to choose from here and I think Billy brings the know-how and confidence to bring this rag-tag bunch together. 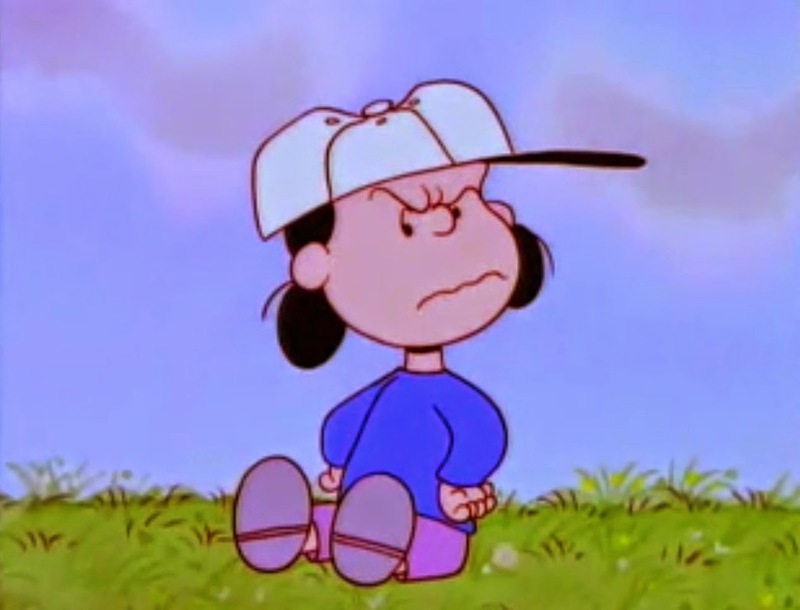 There is one baseball-centric Peanuts special at least. 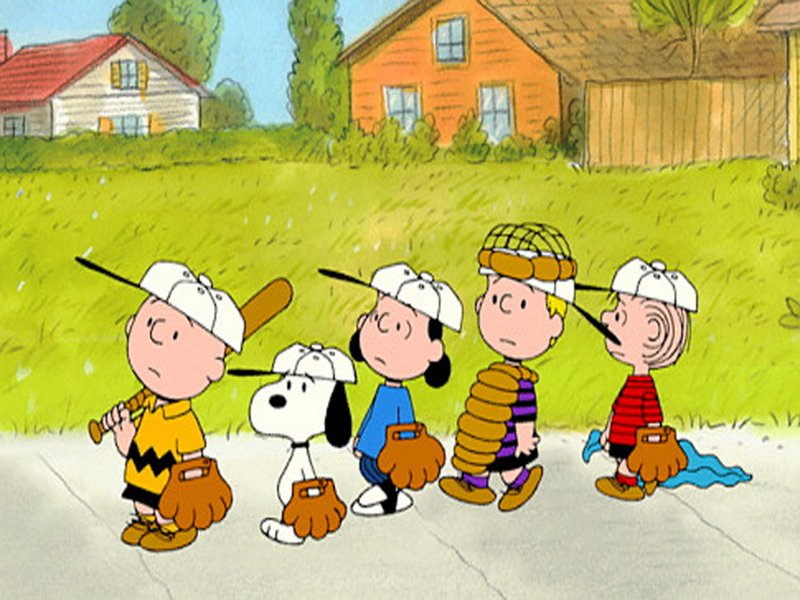 The comic strips encapsulate the fascination and essence of baseball to a child. 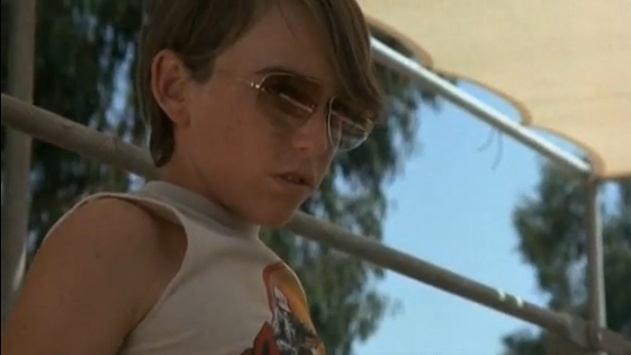 The untimed endlessness of play and the omnipresence in summer. When I was young I fancied myself a catcher and I felt that Schroeder was the prototype of how the position should be played, how the game should be approached and how the pitcher should be worked with. I added a bench because it’s adhering to Little League convention and because pitchers no longer hurl every game. When I had to think of a go-to ace I did have to bend the rules a bit and find a who had the stuff, albeit for a short time and unusual circumstances, to play in the majors. I think in the overall scheme of things there is a balance of different personalities on this team that evens it out such that a few combative firecrackers are fine. 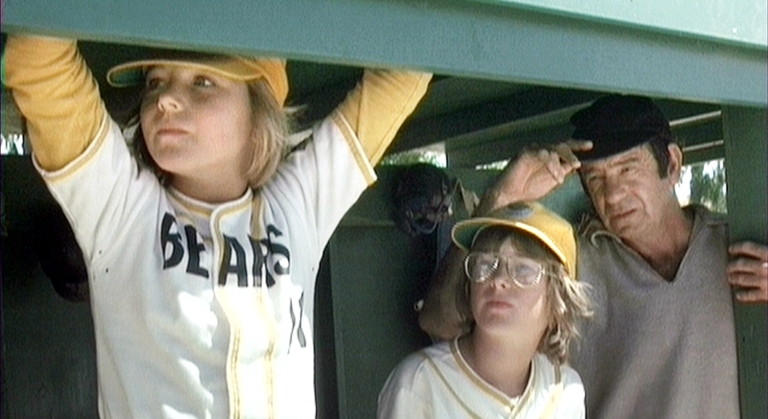 Tanner Boyle in the newer Bad News Bears though more foul-mouthed seems more a spark than a detriment and being a shortstop fills a key position on the diamond. Usually the Little League axiom is to take you best athlete and have him play short, others would amend that to catcher considering how important being a backstop is in that game. However, if those positions are in capable hands it’s a bonus to have your best athlete elsewhere. Rodriguez just may be that and plays the hot corner, which is even more crucial on a 2/3 conventional size field. Garo is one of the original characters in the new version and aside from representing an ethnicity that reflects the present of this film he has one of the more impressive transformations in the film. 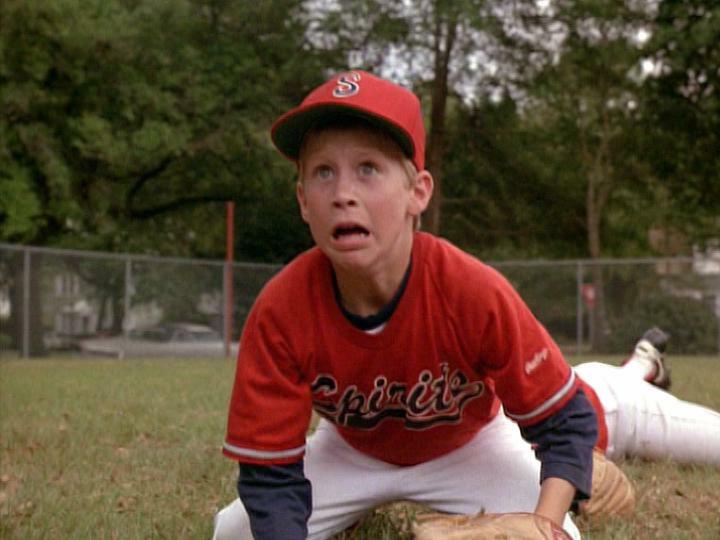 Not too many flashy stretch plays at first base in Little League movies. Typically much of the drama when the ball is put in play is catch/no catch and how the team manages to get the ball to first. Timmy can competently handle the position with this squad. Lucy may not be a great outfielder, but she’s a worse holder. With the pitchers on this team I’d expect groundballs and strikeouts rather than fly balls. However, traded or not, bonked or not, I feel she can be utilized. Smoking and motorcycle riding make him not the poster boy for the team, but his contributions to the team on the field are undeniable. The original rendition is more truly a badass and a star player. Though he moved around the outfield some he’ll play center and have freedom to move laterally to compensate for his flankers. 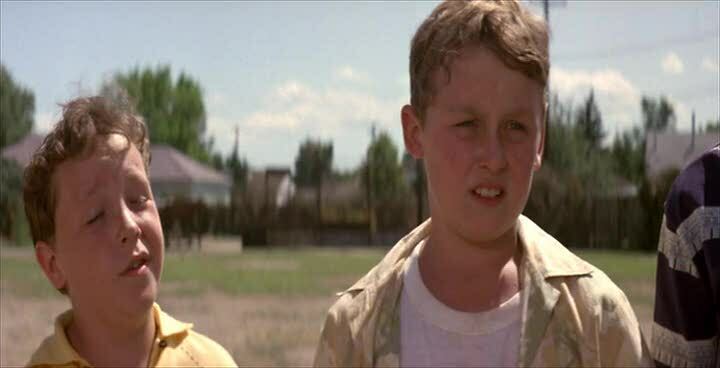 Little League and Kevin’s inability to catch the ball, and the team to win, is a subplot of this film. Second Base is his lowpoint but there is a triumphant moment back where he belongs and with different coaching and perhaps sports psychologist (Provided by Lucy for five cents) he can contribute. Even if he doesn’t the outfield are where the substitutions would happen. No DH this ain’t the American League. Here’s where some of the talented pitchers that can’t play every day can be found and will move around the diamond as substitutes as needed on off-days pitching-wise. You just can’t keep her off the team, and this version seems a whole lot more dominant than the newer incarnation, maybe the sequels have something to do with that. 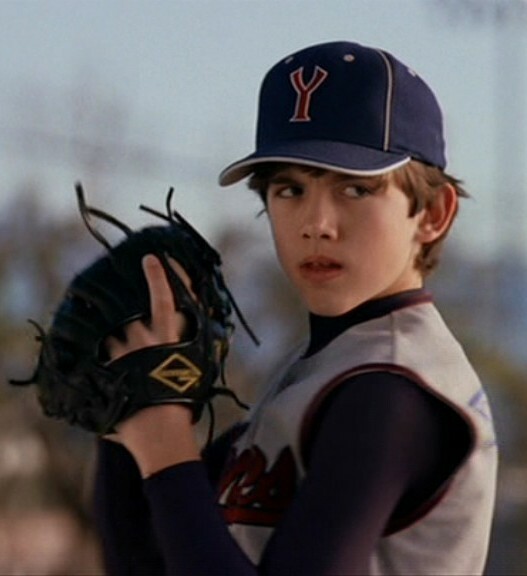 This is the first actual Little Leaguer I could think of that was represented on the big screen. The 1957 Monterrey, Mexico team was the first foreign team to win the LLWS. They had a great story. I wanted to include at least one representative from this team. Ángel Macías was the ace and threw a perfect game, but he was not the only talented pitcher on the team. 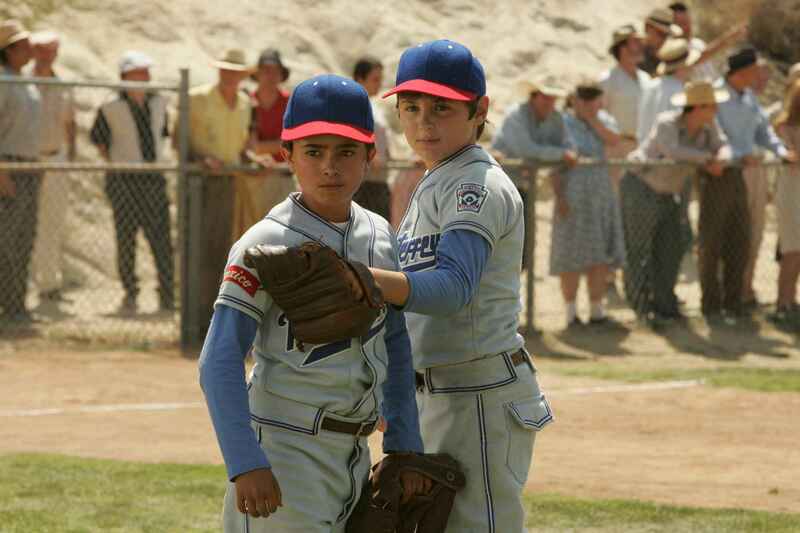 If there’s one thing the pitch count limits in Little League prove is that you can never have enough pitching. If there’s one trend I wanted to buck with this list it was that only players on the “good guy’s” team get picked. However, what the trope is that the rival team has a star player, he always wins and that’s part of why he’s a jerk, and usually he sees the error of his ways in light of his recent loss. In considering what would be best for this hypothetical team’s chemistry I went with the new version of this character as he seems to be a hair better at pitching and never really seems to be genuinely a bad guy, but rather is being who his father thinks he should be. Respect where its due Brandon Cruz is great in this part. Usually at this point with your last roster spot you’d want maybe another player capable of getting behind the plate. However, the pitching staff is really solid. The Achilles heel really is the outfield so we may as well find some more help there. 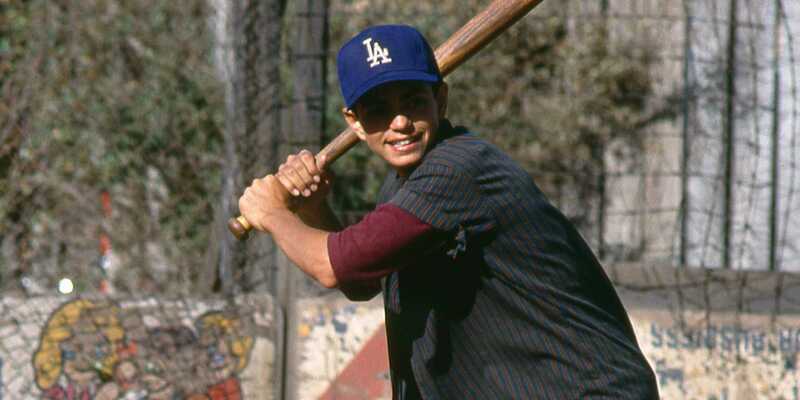 I debated each of the outfielders on the Sandlot crew and this one seemed the best option defensively.